The cast of The Expanse, a show that many people enjoy. Within hours of Syfy canceling The Expanse, diehard fans of the space opera swarmed the internet to make as much noise as they possibly could about why the show needed to be picked up by another network. Much to fans’ delight, Amazon was listening. It’s become increasingly common for networks to swoop in and rescue shows after the vocal outcry from impassioned fandoms reach a certain fever pitch. (Cop comedy Brooklyn Nine-Nine, which got picked up by NBC after Fox canceled it, is another recent example.) In response to The Expanse’s cancellation, fans signed petitions and chipped in to rent an airplane with a message pleading with Amazon to bring the show back. 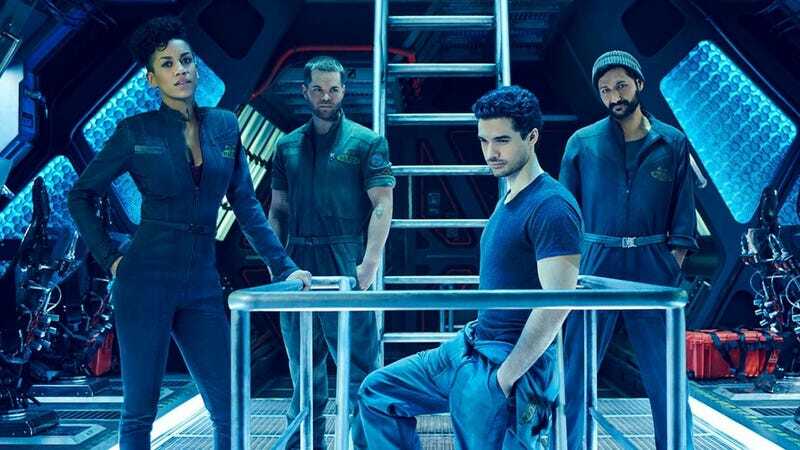 According to Amazon Studios CEO Jennifer Salke, while the production company had already been considering whether to pursue The Expanse internally, the fandom’s love for the show definitely played a role in shaping how things turned out. “There were airplanes circling us, I was having cakes delivered, there was a whole thing happening. And then really smart people, whose opinions I really value creatively, started reaching out to me, saying, ‘have you seen this show, The Expanse, it’s actually great.’ I hadn’t so I spent some time, I watched the show and I was like, this show is actually really well done, why is nobody watching it? Salke went on to describe how relatively easily the deal came together—and how hyped Amazon head Bezos was to be able to humblebrag that The Expanse was coming back in front of a surprised audience that included the show’s cast. But the real takeaway here is that Amazon actually listened to an impassioned fandom that was advocating for something they love with positive, collaborative energy. In a time when fandom seems like it was probably a mistake, it’s heartening to see people expressing themselves in a way that doesn’t involve harassing one another and getting salty in comments sections. This is how it’s done, people.